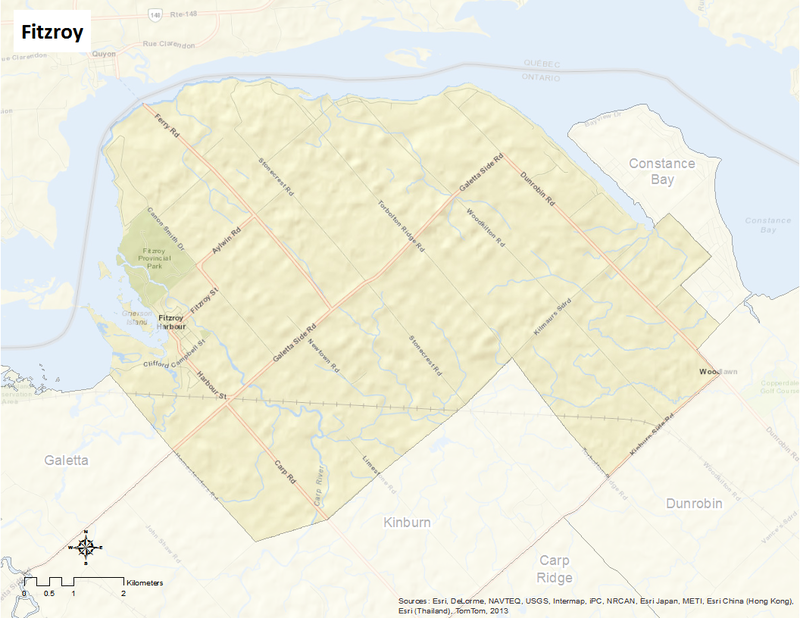 Fitzroy is bounded by the Ottawa River to the north, Thomas A. Dolan Parkway to the south, Dunrobin Road and the Ottawa River to the east, and Country Road 29 to the west. Fitzroy is a small community located west of Ottawa that became part of the City of Ottawa in 2001. Here is an infographic that describes Fitzroy as a Village of 100 (2011 data). This community has a rich history that dates back to 1817 when it was founded by Charles Shirreff. Envisioning Fitzroy as the birthplace of a canal system, Shirreff lobbied the British Empire to fund his endeavor. Some have argued that had he been successful in acquiring the canal system (which later was established as the Rideau Canal in Ottawa), Fitzroy may have been named the Nation’s capital.